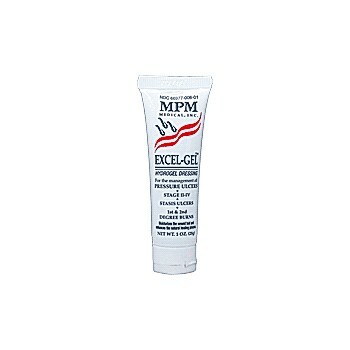 MPM Excel-Gel™ Hydrogel Dressing contains aloe vera and glycerin that moisturizes the wound. For the management of pressure ulcers stage I-IV, first and second degree burns, and stasis ulcers. Aloe vera and glycerin moisturize the wound. Allows for visualization of the wound. Facilities debridement , the humectants and moisturizers assist in autolysis of necrotic tissue.